Welcome to the only national organization representing Amateur Radio in the US. As an ARRL member you support the ranks of thousands of other ham radio enthusiasts shaping the Amateur Radio service today. If you consider yourself an active ham… you need ARRL now. If you are not presently an active ham… let ARRL help you. Take the next step in being an active participant in the future of ham radio. Join or Renew your Membership in the ARRL today through the Gulf Coast Amateur Radio Club (an ARRL Affiliated Club)! 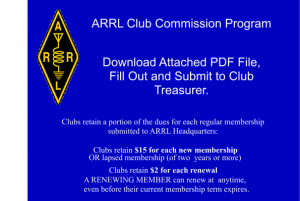 ARRL Affiliated Clubs receive a commission for every new ARRL membership and renewal they submit to ARRL Headquarters. Family, Blind or 21-and-under discounted memberships are not applicable for any discount. May not be combined with any other promotion or special offer.